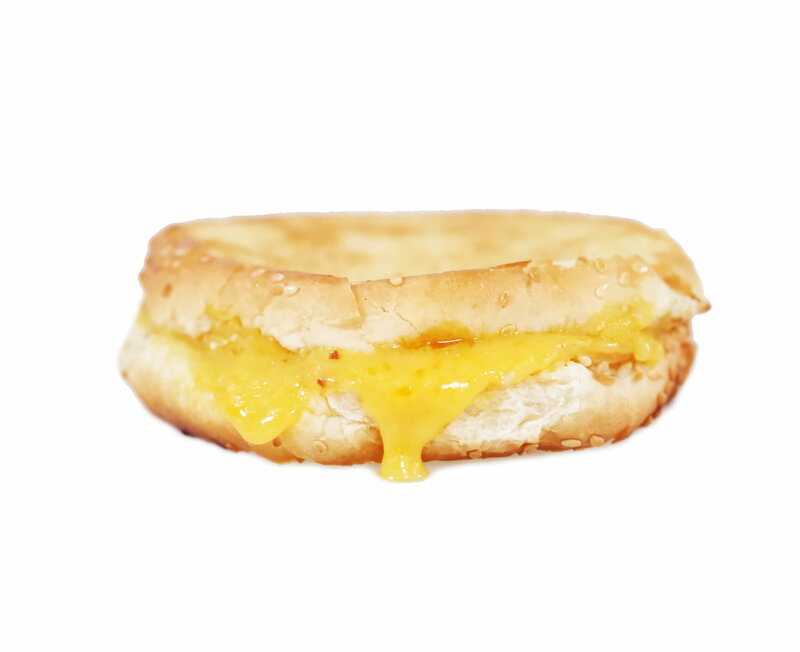 Who doesn't love a classic grilled cheeze! Two pieces of round bread, buttered and toasted with a double portion of American cheddar cheeze. Great for kids! Margarine: Non-hydrogenated canola oil, water, modified palm and palm kernels oils, salt, dextrose, monoglycerides, soya lecithin, potassium sorbate, natural and artificial flavour, vitamin a palmitate and vitamin D3. May contain colour.